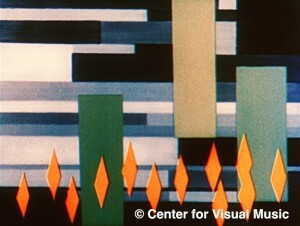 Stills of Fischinger from Berlin Home Movies footage, c. 1931, restored from nitrate by CVM. 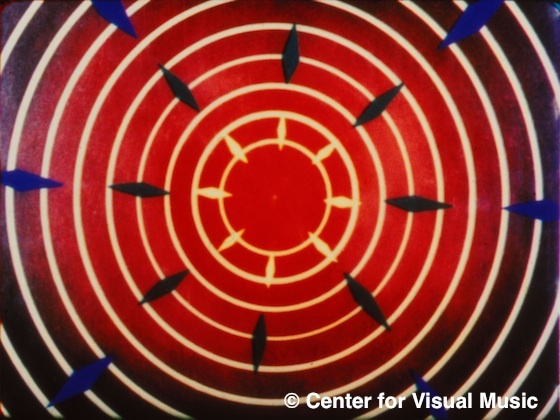 Oskar Fischinger is credited as the father of Visual Music, but what does this really mean? What were his thoughts on “visual music,” a phrase not found in his writings until the mid-1940s (along with “optick music” and “augenmusik”)? Is he labeled the father of the genre due to his far-reaching influence on generations of animators and filmmakers, rather than as its strongest practitioner? [i] Jack Ox and Cindy Keefer, “On Curating Recent Digital Abstract Visual Music,” written for the Abstract Visual Music Project, The New York Digital Salon, School of Visual Arts, New York, 2006. Online at www.centerforvisualmusic.org/Ox_Keefer_VM.htm. [ii] William Moritz, “Towards an Aesthetic of Visual Music,” Asifa Canada Bulletin (Montreal: ASIFA Canada), 14/3 (December 1986). Online at www.centerforvisualmusic.org/TAVM.htm. [iii] Ox and Keefer, 2006 (see note 1). [iv] Transcription including original spelling of excerpt from 1947 document titled “Corrections to Richters [sic] Article about the History of the Avantgarde.” Unpubished typescript. Collection Center for Visual Music. 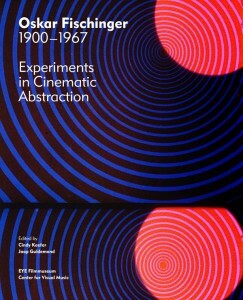 Richter’s article was published in the 1946 Art in Cinema catalog and contained numerous errors, particularly about Fischinger. 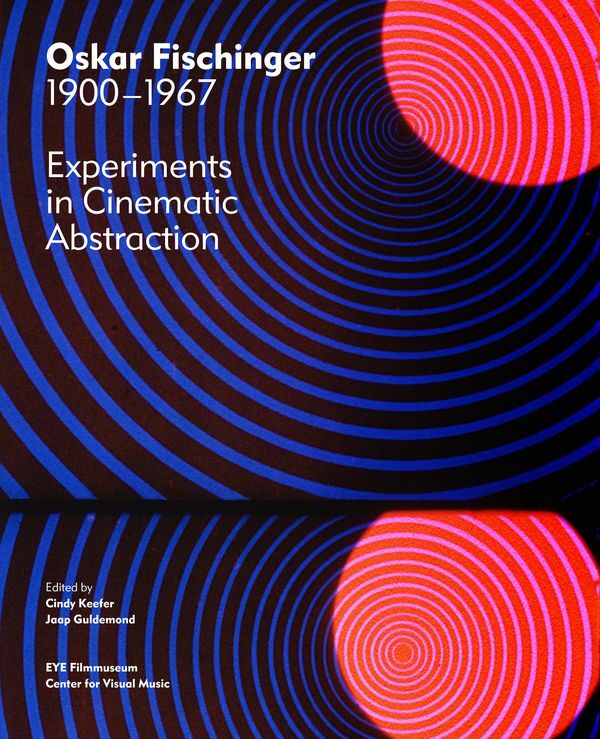 Excerpted from Keefer’s essay in Oskar Fischinger (1900-1967): Experiments in Cinematic Abstractions. Cindy Keefer and Jaap Guldemond, Eds. Amsterdam and Los Angeles: EYE Filmmuseum and Center for Visual Music, December 2012. Distributed by Thames & Hudson, US release September 2013. Available in Europe at selected bookshops and on Amazon; advance copies in US through CVM. Cindy Keefer is an archivist and curator, and director of Center for Visual Music in Los Angeles. She curates and presents film and media programs at museums, festivals, and archives worldwide, and consults on museum exhibitions. She has published on Oskar Fischinger, Jordan Belson, Visual Music and experimental animation, edited a new Oskar Fischinger book, and is currently writing a book about Jordan Belson and the Vortex Concerts. As Adjunct Faculty, Keefer taught the History of Experimental Animation at Cal Arts, and has been a Guest Lecturer at USC, ZKM, University of Oxford, Goldsmiths, Cal Arts, UCR, UCSB, Sci-ARC and numerous others. She restored and curated Oskar Fischinger: Raumlichtkunst, a 3 screen HD installation opening in Paris June 2013, previously at Tate Modern and the Whitney Museum. 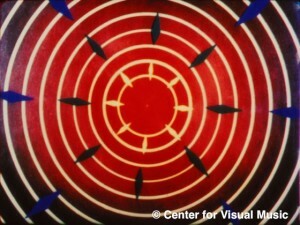 Keefer has preserved dozens of short films by artists including Fischinger, Belson, Jules Engel, John and James Whitney, Charles Dockum, Harry Smith, Mary Ellen Bute, Harry Smith, Jud Yalkut, John Cage and others, and produced the Fischinger and Belson DVD releases. She has worked with The Fischinger Estate since 1997, and is a member of SCMS, SAS, and The Association of Moving Image Archivists (former Chair of its Access Committee). Thanks for a fascinating post Cindy. The 1947 ‘corrections’ are new to me and reinforce the sense found in Moritz’s biography of Fischinger that once in America he was under considerable pressure to adhere to a particular version of modernism espoused by the likes of Richter and Hilla Rebay, one that was not necessarily in keeping with the original impulse of his German films. I always thought that ‘Motion Painting No. 1’ was a capitulation to that pressure, but the quotes you give here from 1947 suggest he still saw his work as having different aims. Sadly, it also reveals why he wasn’t always heard as he was not such an efficient self-promoter as Richter, not least due to his struggle with English. It’s only now, thanks to yours and William Moritz’s work, that Fischinger’s work is getting recognition in places where Richter’s name has long been canonical.